Intel and SMS Audio announced Thursday that they have partnered to create a set of sport-focused headphones with heart rate monitoring capabilities. The sweat proof BioSport In-Ear Headphones use optical sensors to take your pulse straight from your ear – a fairly accurate way of measurement. Data can be imported to your smartphone through the popular RunKeeper app to help you keep your heart rate on target to burn fat. One really nice feature of the BioSport: It draws all the power it needs directly from the headphone jack of your device. That’s a big advantage over the battery-powered LG Heart Rate Earphones, which need to be charged every four hours. 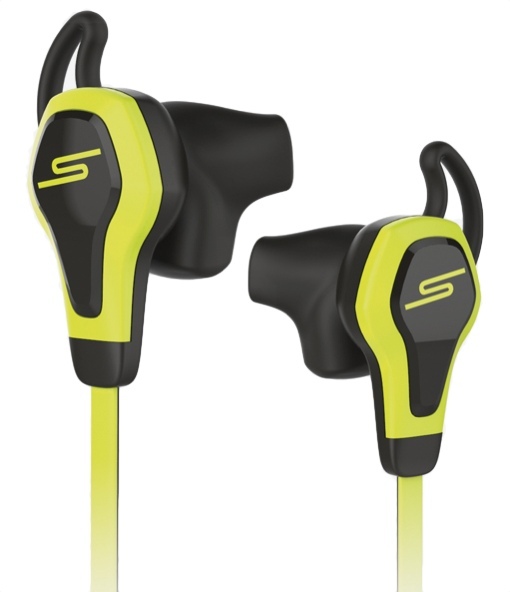 The BioSport In-Ear Headphones will be available in a range of sporty colors in time for the holiday season. Pricing has yet to be announced, though Mashable suggests its likely to be under $150.